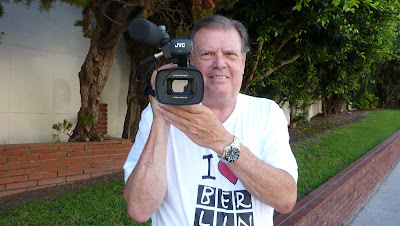 Los Angeles, CA—As a private investigator, investigative documentary producer/film-maker I’m always waiting for one of my blog visitors or their businesses to send me out on a special assignment. As a result of this blog I’m often retained for various professional assignments. Most of the time I can’t share the details of those assignments with my readers. However there are times when I can. My visitors are my assignment managers and they have the ability unleash the Crimefile News monster on a story. Technology and the Internet forced the new media and bloggers to find non-traditional funding sources. Blog visitors can pay their favorite bloggers to cover and profile whatever they like. I’m ready to take my state-of-the-art sophisticated video tools on the road to cover any event for anyone. Contact me for details and I can provide cost estimates and give you an idea of what to expect. I can do a single story or a series depending upon the nature of the assignment. From My Dead Cold Hands! I don’t think so.